Mustang Seal Solutions specializes in metal machining for the oil and gas industry. Mustang Seal Solutions prepares Metal Machining and Fabricating for industrial applications. Our staff works with each customer from the initial inquiry through the delivery of the finished part to ensure their components conform to or exceed their application requirements. Current trends require not only metal machining but also hybrid materials. Our engineering experience will guide and facilitate machining of light alloys such as Aluminum. We are ISO 9001 certified to the latest standards, and can consistently provide products that meet our customer requirements. Mustang Seal Solutions is a company you can trust to handle your product with quality assurance and on-time delivery. 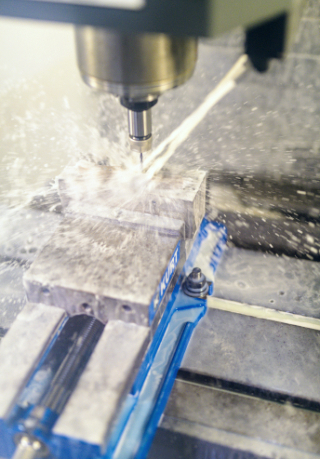 What kind of work holding do you offer for CNC Machining? Depending on the size of the workpiece, its properties and application, we might use three jaw chucks, faceplates, magnetic chucks, driving plate, angle plates, combination chuck or as our engineers prescribe. Is Aluminum a light metal? Yes, Aluminum and Magnesium are known light metals because of their relatively low density. We can help machine such metals with their alloys. How does Mustang Seal Solutions machine light metals? It all depends on the size of the part, and the shape of the part. Complex parts may require milling machine while others may use a lathe machine. For more inquiries, please contact us at (713) 936-5787.